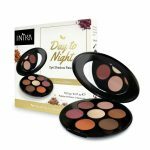 It is National Celiac Awareness Month, so we thought we’d celebrate it by featuring a cruelty-free, vegan makeup that is also gluten free. It stands to reason that those who are intolerant to ingested gluten also don’t want to have gluten on their bodies, but gluten is found as an ingredient in many commercial makeup lines. Even the cleanest, organic makeup can cause skin issues to someone with gluten intolerance if the makeup contains gluten ingredients! 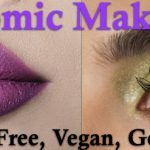 GlamNatural makeup is completely free of gluten, in addition to being vegan and cruelty-free. Further, their makeup does not contain talc, formaldehyde, petroleum, sodium lauryl sulfate, or any synthetic dyes and fragrances. Further, GlamNatural does not put water in their makeup, as many other cosmetic companies do. Because the water can harbor bacteria, preservatives are added to stunt the growth, and that is what starts the cycle of adding harsh chemicals to the cosmetics. The GlamNatural philosophy is that the world is toxic enough without exposing yourself to more toxins through your makeup. GlamNatural’s vegan, cruelty and gluten-free Hydrating Foundation is a medium-to-full coverage foundation that contains only six ingredients in addition to pigment. The ingredients are shea butter, food-grade dimethicone, sunflower oil, berry wax, grape seed oil, jojoba oil and iron and titanium oxide. The Hydrating Foundation comes in a range of colors to match all skin types, and each shade is defined by the skin tone and ability to tan or burn, to help their customers best choose which foundation shade will work for them. The GlamNatural vegan blush offers buildable color so that it can be worn as a subtle look during the day, or as a more dramatic look for evening activities. 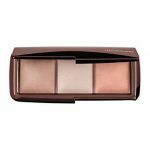 The blush is highly pigmented, so only needs a small amount for a subtle look. To top off your look, GlamNaturals offers a full line of vegan, cruelty-free lip glosses that are full of nourishing ingredients such as shea butter, jojoba oil, sunflower oil and grape seed oil. Like the blush, the lip glosses are highly pigmented, so a little goes a long way! To learn more about GlamNatural’s vegan, cruelty-free and gluten-free cosmetics, visit their website!